Photo of: East Coast of Ireland: Meath: Boyne. 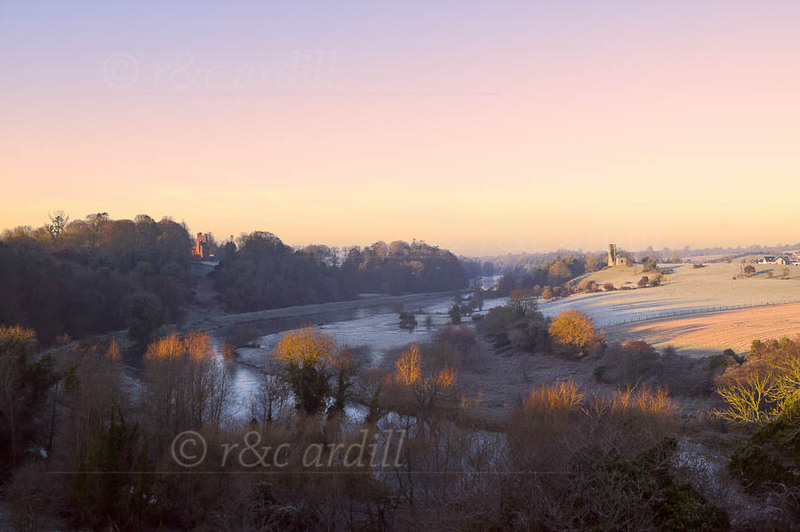 A dawn view of the Boyne from the ruins of Ardmulchan Church, looking East towards Navan. Dunmoe Castle can be seen in the right background.